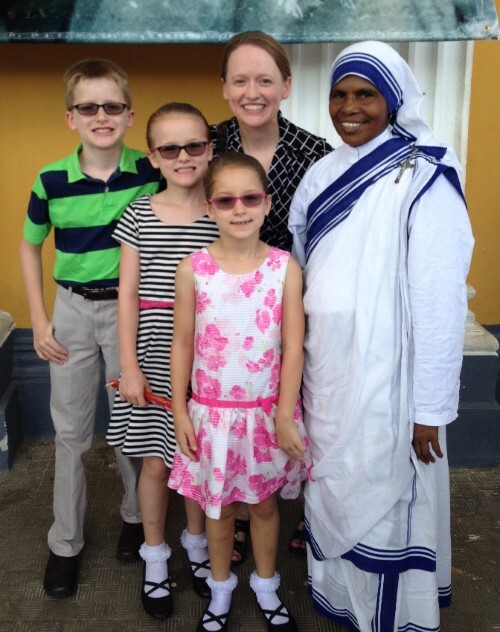 Above, is a photo of Katy and the kids with one of Mother Teresa&apos;s sisters...Ok, she isn’t a sister of Mother Teresa by birth, but one of the Missionaries of Charity that lives here in Granada serving the poor. On September 4, Mother Teresa became a Saint and we had the opportunity to join in the celebrations. There was a procession through the streets of Granada that concluded with a Mass at the Cathedral with thousands of locals. 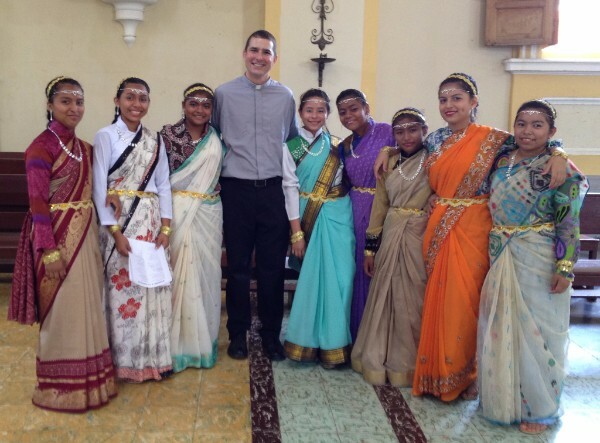 The next photo shows Pat with a group of girls that learned a traditional Indian dance in honor of Saint Teresa of Calcutta. They were amazing performers! For those interested in a taste of the procession, you can click on the video above. Why did the community make such a big deal out of the canonization of Mother Teresa? Because in Mother Teresa of Calcutta and in the local sisters that serve in Granada, people are able to see Jesus so clearly. We are all called to be the hands and feet of Jesus, and the Missionaries of Charity live out that call in a profound way. Without prejudice, they reflect the love of Christ to the poorest of the poor. As we look to serve in a healthy and sustainable way, we seek partnerships with those already working here, like the Missionaries of Charity, who have a better understanding of the situation than we do and can guide us to help in ways that do not cause more harm than good. 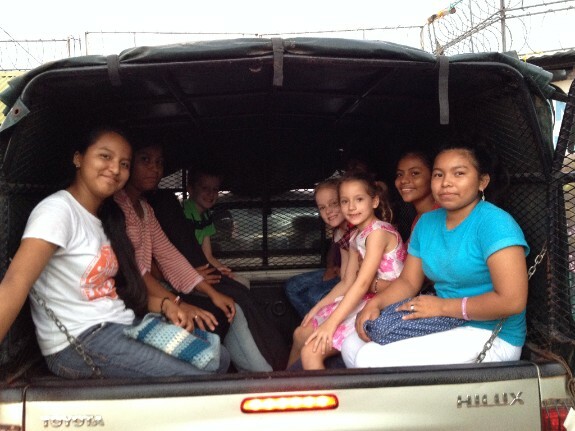 The Sisters have also been transporting us out to the most underserved areas. Here is a photo of Ben, Rachel and Rebecca piled into the back of their truck. The truck was “customized” locally with bench seats and an overhead tarp which the kids field tested during quite a thunderstorm – it is not completely water tight! The girls in the photo below are a delightful group of young women whom, for various social reasons, where offered a place to live with the Sisters. They are also teaching our kids some great praise and worship songs in Spanish! The kids were recently invited by some friends at school to watch a “little league” baseball game. Rebecca shares the story in her words…. 1. Prayer. Please pray that Ben, Rachel and Rebecca continue to develop their language skills and make new friends. Also pray that God will guide us through both the Nicaraguan residency process and the process of clearing a vehicle through customs. The vehicle has arrived, but clearing customs has not gone smoothly. 2. Consider joining an upcoming medical mission trip. Information about the trips can be found at theChrist the Healer webpage. Here are the trip dates. Please note that the document deadline for the January trip is fast approaching. These trips are in need of medical personnel in many specialties, for example: nurses, family medicine, pediatrics, internal medicine, dentists, eye doctors, other specialties, etc. Translators are also needed. Please contact Kristie Vollentine for more information on specific needs for the various trips.